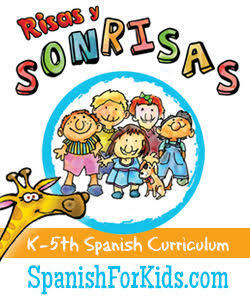 Time for another addition to your family library's Latino children's literature section! 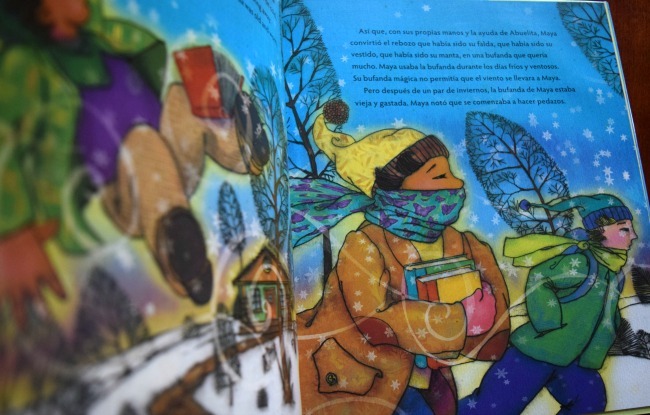 Today's picture book is a treasure that celebrates the special bond between Abuelitas and their grandchildren. 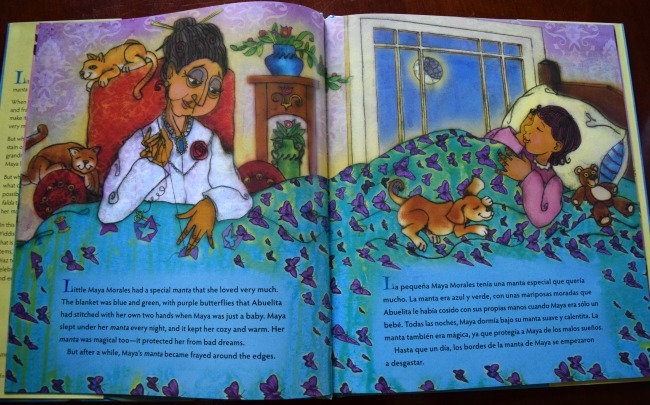 I truly love this sweet story titled Maya's Blanket (aff), that puts a Latino twist on a traditional Yiddish folk song "Hob Ikh Mir a Mantl." 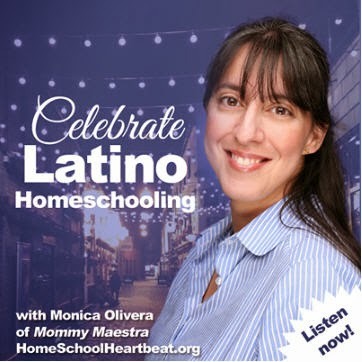 Monica Brown's own multicultural background serves as the inspiration for this book; she's of Peruvian and Jewish heritage. The story goes on with the beloved blanket changing - getting smaller and smaller - but still useful to Maya as she grows bigger and bigger. 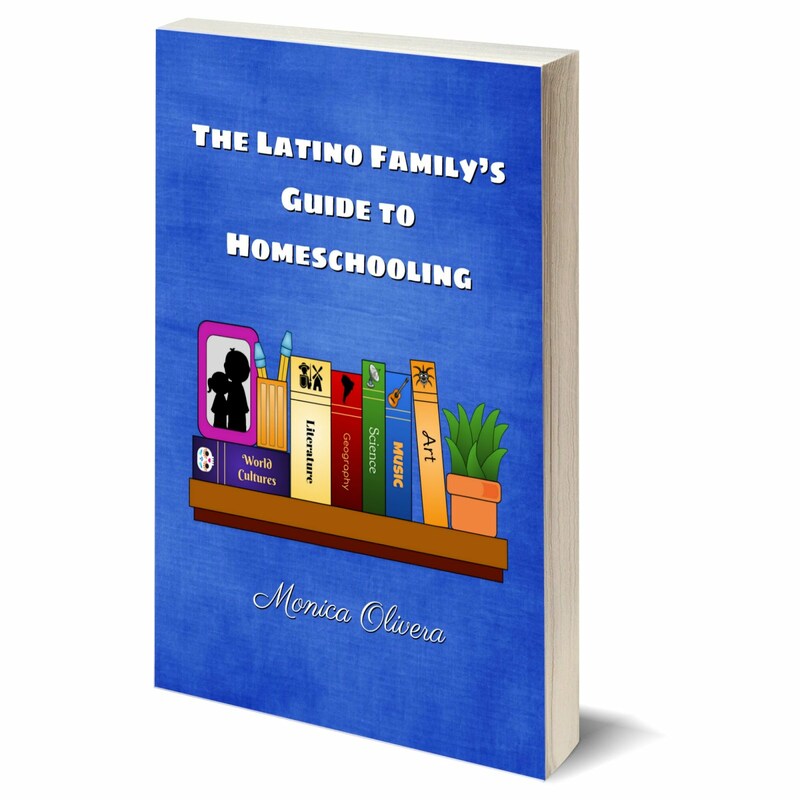 Perhaps your family will be inspired by this book to save and repurpose those special gifts that are gifted or passed down from family members and friends. 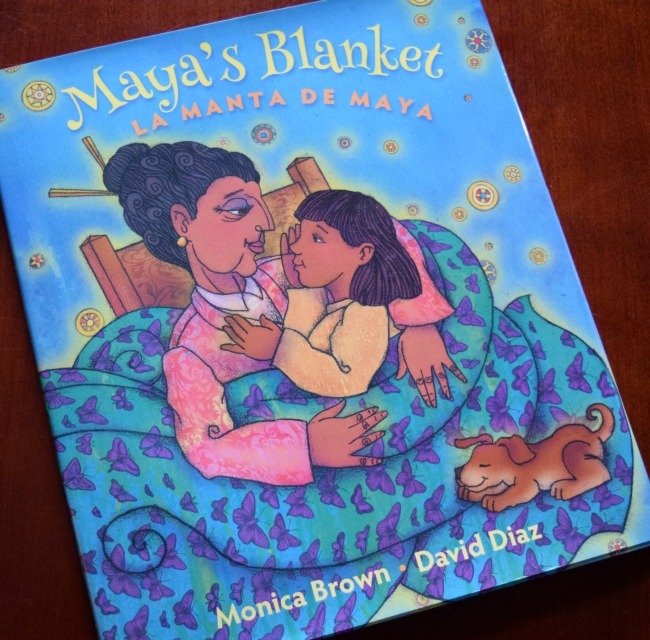 What is most touching to me about this book is the special connection that Maya shares with her Abuelita. Their love is so strong that Maya clings to the blanket as it changes form... a symbol of the close bond she shares with her grandmother. 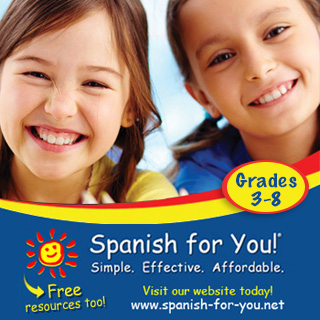 Bilingual families will love that the book comes with full text in both English and Spanish, though some Spanish words (manta, bufanda, etc.) are sprinkled into the English text. There is also a glossary included at the end of the book. David Diaz' illustrations are, as usual, fantastic. The colors are vibrant, reaching out to pull your eyes into the story. Each page is a visual delight as each character seems to leap off the page. 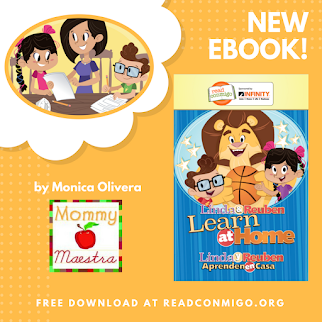 This beautiful story is can be used to supplement lessons on family, recycling, repurposing, creativity, growth, metamorphosis, transformation, grandparents, and more. Teen Safety and Snapchat - What's The Story?